Check out Tobi's Eternal Flame Maxi Dress Everyone will be eternally yours in the Eternal Flame Maxi Dress! 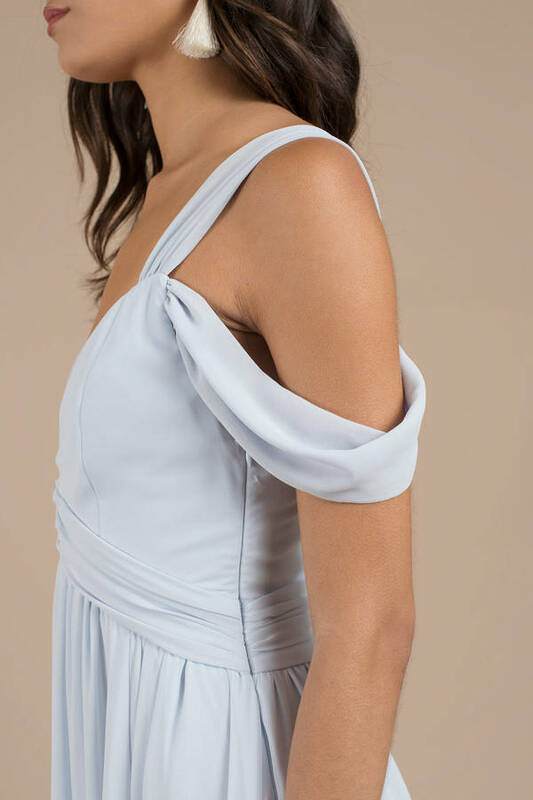 Featuring a high slit, slight ruch detail, and a single cold shoulder detail on a mid-weight weave that will give you the most elegant look! Everyone will be eternally yours in the Eternal Flame Maxi Dress! 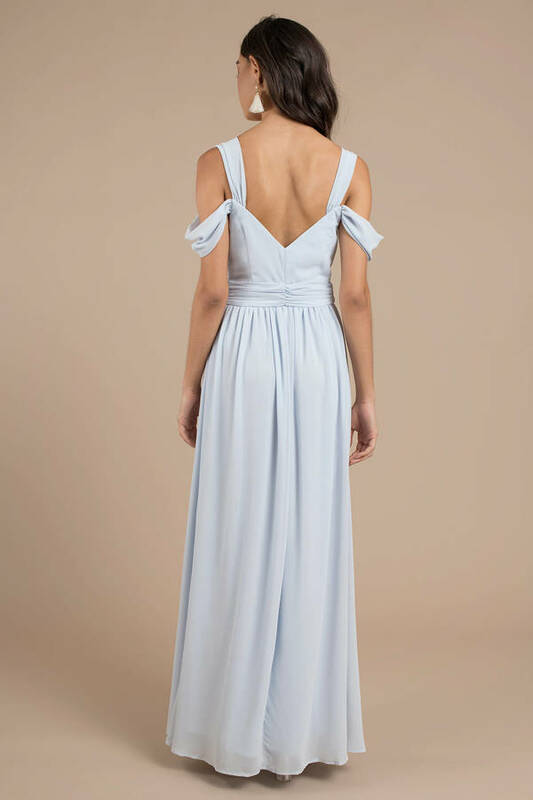 Featuring a high slit, slight ruch detail, and a single cold shoulder detail on a mid-weight weave that will give you the most elegant look! Light Blue, Rose modeled on a size Small.